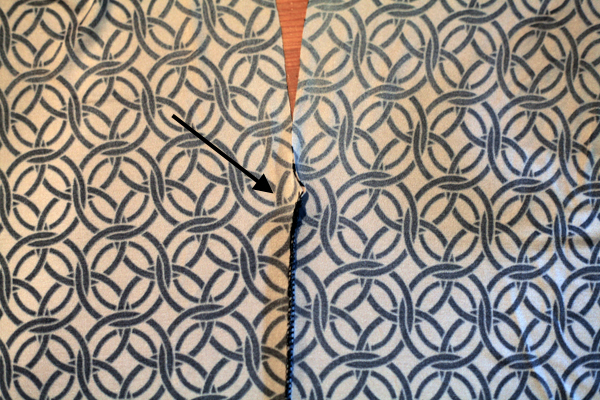 The seam itself is the center front seam, but it splits at the top to become the bodice’s twisted ties. During the rest of construction, no other seams will intersect with this one, but I typically rely on an intersecting seam to secure the ends of my serged seams. So, what should I do here? Assume this seam won’t ever unravel and just leave it as is? No, of course not! My aim is to learn how to sew well after all, which in part means making garments that will stand the test of time – at least in how they wear! 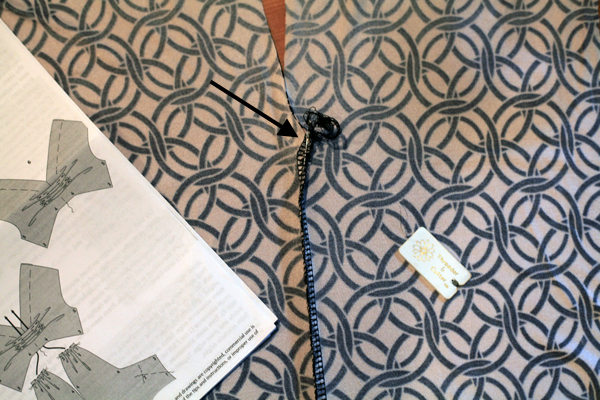 There are easy ways to make sure lone serged seams like this one are secured. My personal favorite is to weave the thread chain back through a bit of the seam. 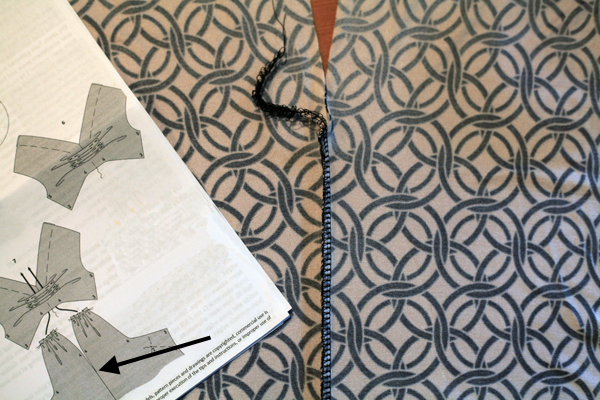 I pulled this method out of my serger manual, so I can’t take any actual credit for it. 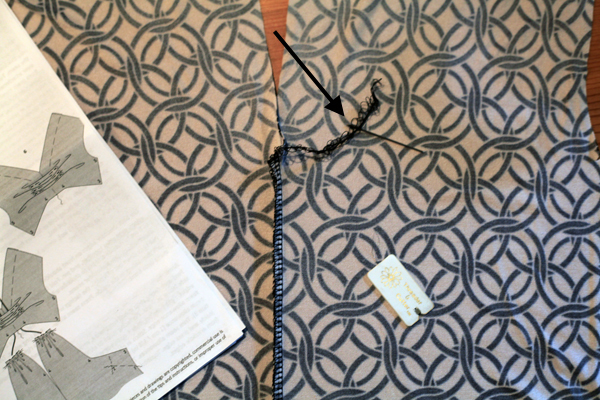 But, I figured it was worth showing off here since it came in handy for this dress and since I often see posts on how to sew knits, but I’ve never seen anyone cover securing the ends of serged seams (not that that doesn’t mean something like this tutorial isn’t already out there a thousand times!). Anyway, if this method is new to you, read on my friends! First, leave a decently long thread chain hanging off the end of the seam. My manual recommends 3 to 4″ (which roughly equals 7 to 10 cm). Next, pull out a large-eyed needle (mine is really, really blunt so it won’t snag on anything during the weaving process) and a needle threader (or not if you are really good at threading needles). My manual recommends a large-eyed tapestry needle or a double-eyed needle. Thread all of the strands in thread chain through the eye of the needle. The needle threader helps me make sure the chain goes through the eye evenly. I pull a third or so of the thread chain through the needle, just so I won’t lose it during the weaving process. Now the weaving process begins. 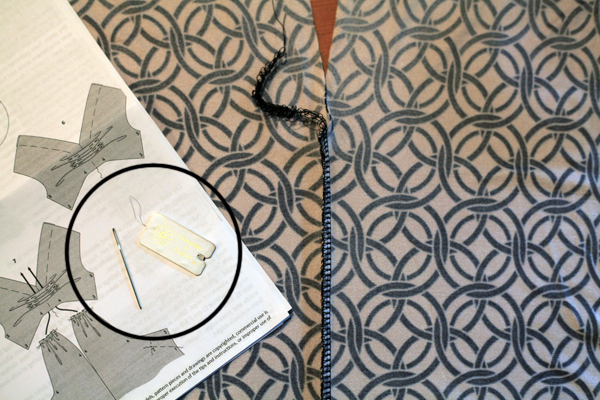 Stick the needle back through the serger stitching along the seam. I always choose to weave the thread chain through the underside of the seam, just to keep the side that’s pressed out nice and neat. I also make sure to pay attention to what’s going on at the top of the seam, using my finger to help guide the thread chain as I pull the needle through. Finally, cut off any excess thread chain that’s not safely enclosed within the serged seam. That’s it! Now the end of this particular serged seam is safely secured in itself. Pretty neat, right? 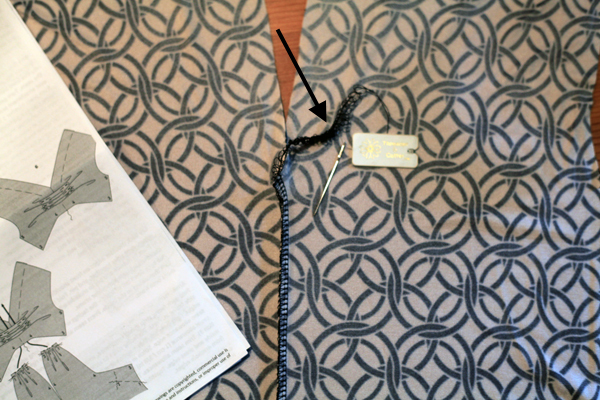 My manual also suggests two other methods for securing the ends of lone serged seams: tying off the thread chain or using a dab of seam sealant on the end of the seam. But, like I said above, the weaving method is my favorite. 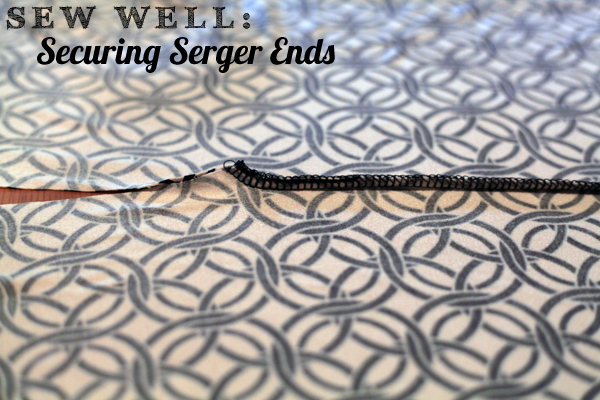 Do you have a favorite method for securing the ends of serged seams? If so, do tell! Great idea! I don’t ever leave my dead-end serged seams unsecured but I’ve not ever heard of this method. I’m definitely trying this next time! what i usually do is serge a couple stitches off the edge of the fabric, raise the foot, then turn my work over and bring it back in front of the needle, then serge back down the seam an inch. 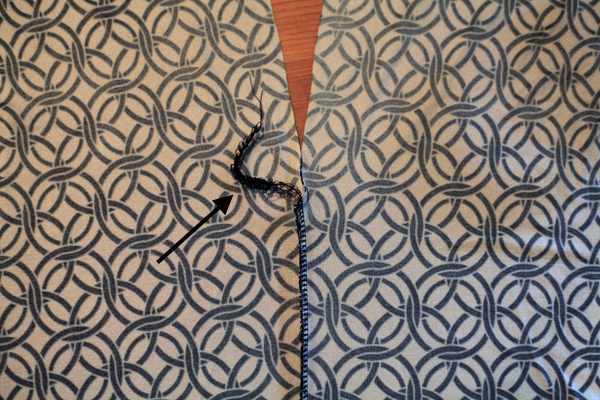 then i chain off and snip the threads close to the seam. works great, and no fussing to get those threads through the eye of a needle! Good idea! I’ll try that and also lisa g’s way and see what works for me. I weave in the thread tails, but I use a tool called a “Latch Hoop Knit Picker.” I weave it under the serged threads, pick up the thread tails, and pull them back through the serged stitches. I’ve been using this method for 20 years, and it hasn’t failed me yet. 🙂 Easier than trying to thread a needle with serger threads and faster. 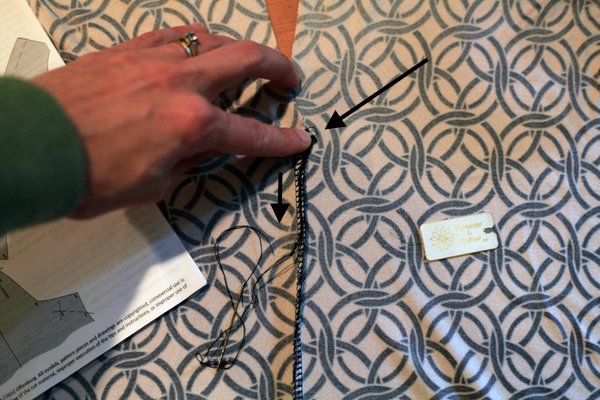 I can’t recommend this method enough: your seams will NEVER fall apart. Amy, I do what you do with one exception. To reduce the bulk of the serger threads, just before I thread them through the eye of the needle, I pinch the threads where they meet the fabric, then pull/tease out the loose threads and trim the longest one, which is usually 2 or 3 times the length of the others. This results in a smooth group of threads. Just a personal preference, I think. I’m all about knotting off the end. Even if the serging will be intersected by a seam! Better safe than sorry! I weave my serger ends back through as well, used to use a large needlework need. Now use a large blunt double-ended needle. Got mine from Nancy’s Notions thanks to a tip from Mary of MarySews. 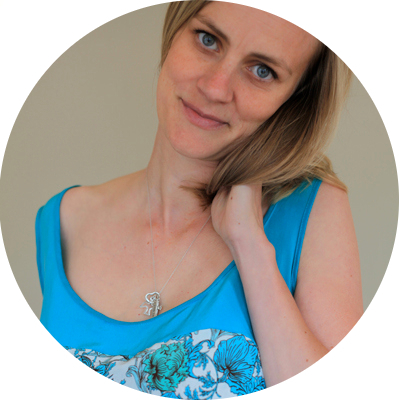 And I often find that third thread and pull it down, funny how it bunches up otherwise. 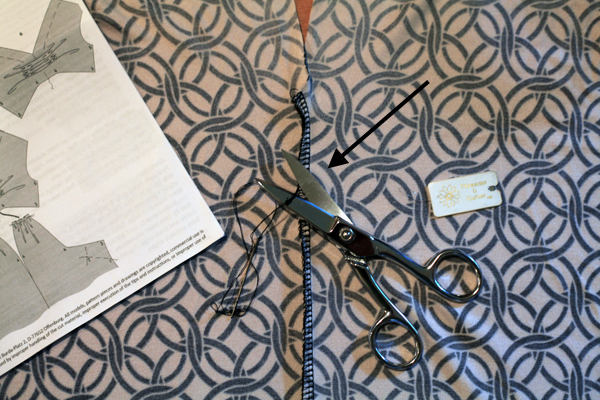 My manual has that solution, too – although to be honest, I have yet to use it… I’ve also read that you can just knot two of the threads with the other two and then cut the rest, but to slip them into the seam seems neater.